A message seeped into our hearts. Your words are like a peaceful wave washing over me. Lovely image too Linda. thank you so much Nancy, San_jeet and Sue. And I feel complete reading your post. A gift to the soul. That sounds like the most beautiful moment – perfect love, in all ways! 🙂 And I love the thought of being one with the swaying trees! I remember feeling like that when I was a child outdoors with nature. Also felt it recently, there’s a cemetery near where I live, it has an enormous amount of old trees in the old Victorian part. On a windy day it’s such a stunning sound. You not only hear the trees you ‘feel’ the trees. Moments like that are very special. thank you Suzy. Yes, those are baby owls. They were adorable. And I know what you mean about feeling the trees. I truly get that. This sounds romantic. I love the sweet, soft fluffy owls, Linda. I think the words sound like someone laid down under pine trees and this would be special, just to look up and see the birds in the trees, the swaying branches and smell the pine needles, too. Oooh! Look at the owls ❤ What sub species are they, may I ask? 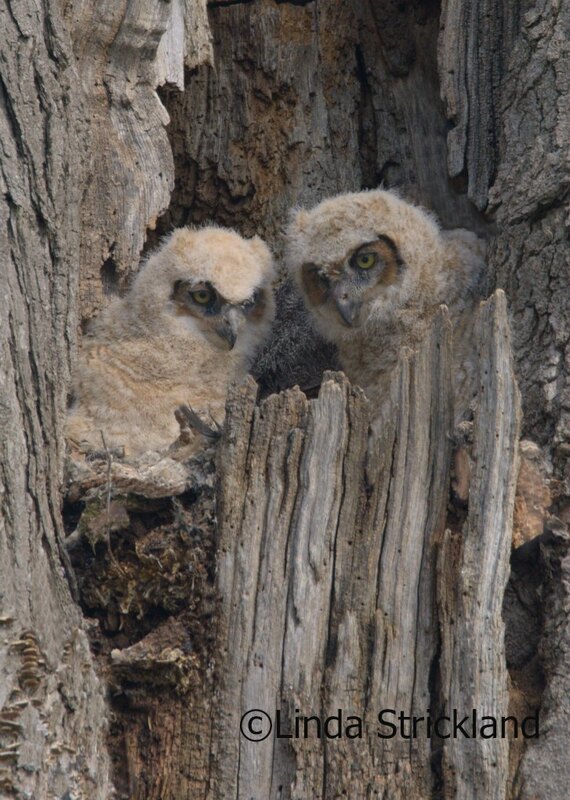 Christy, they are great horned owls. Just love the babies! They’re so cute.